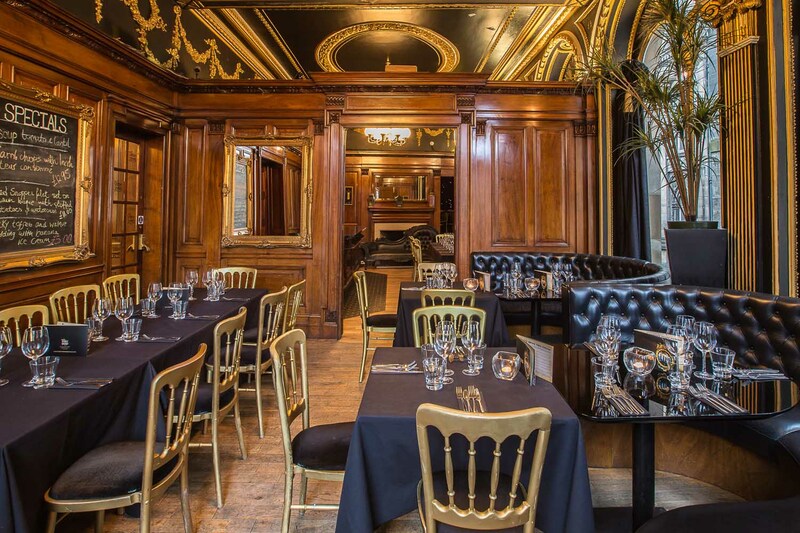 Food is served in the dining room until 10pm every day. 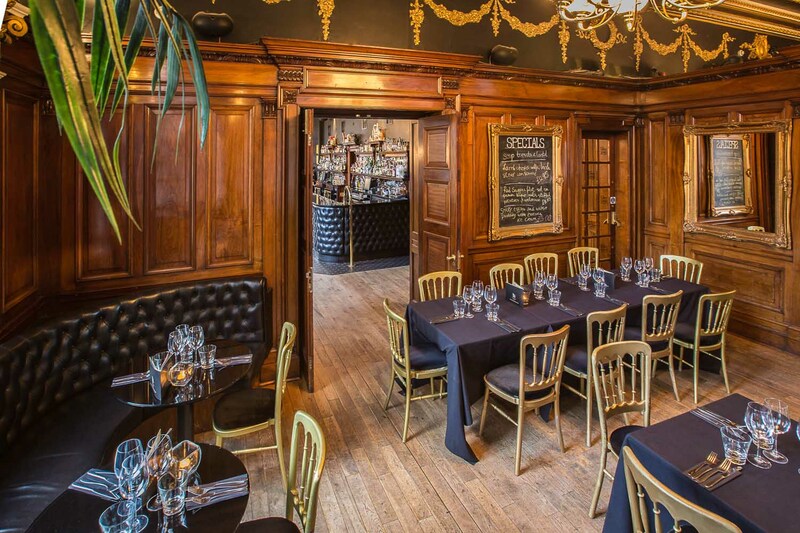 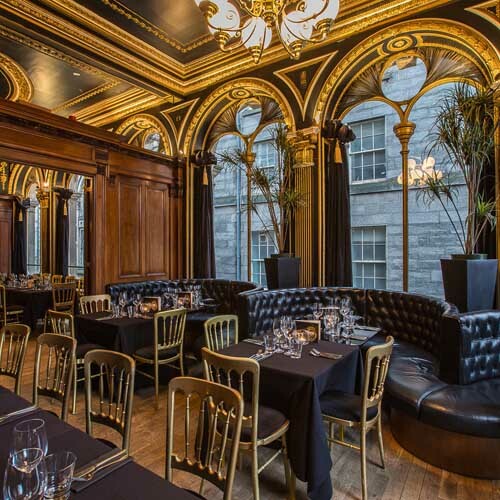 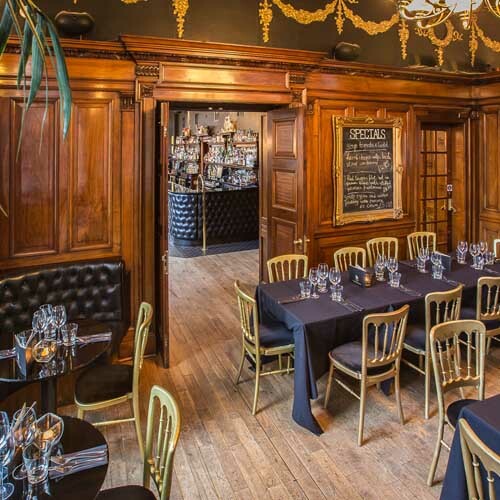 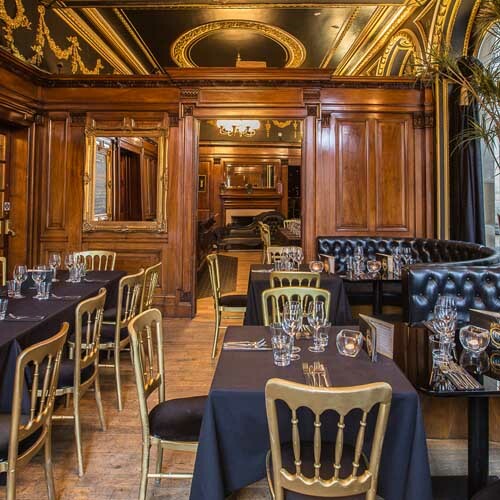 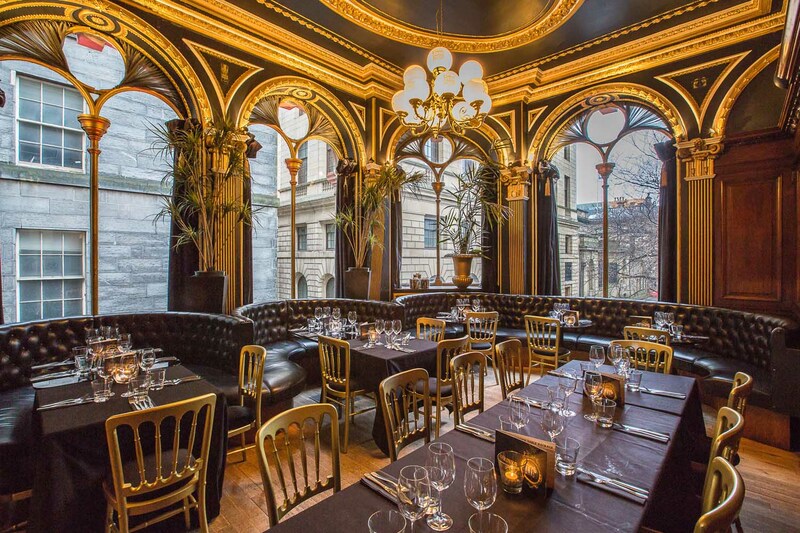 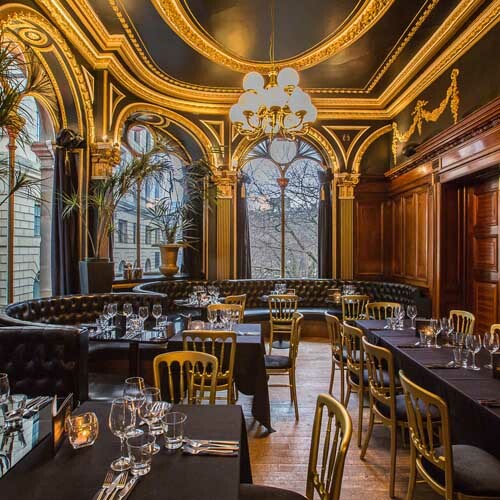 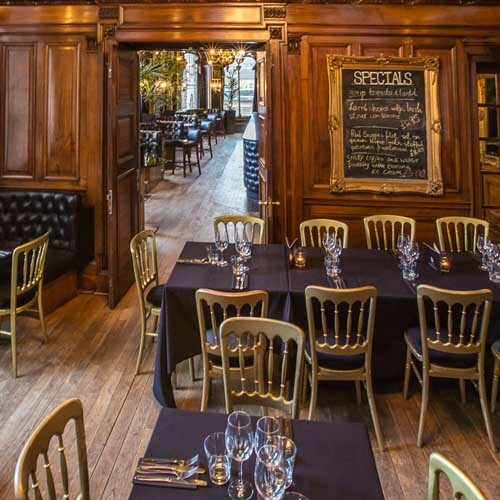 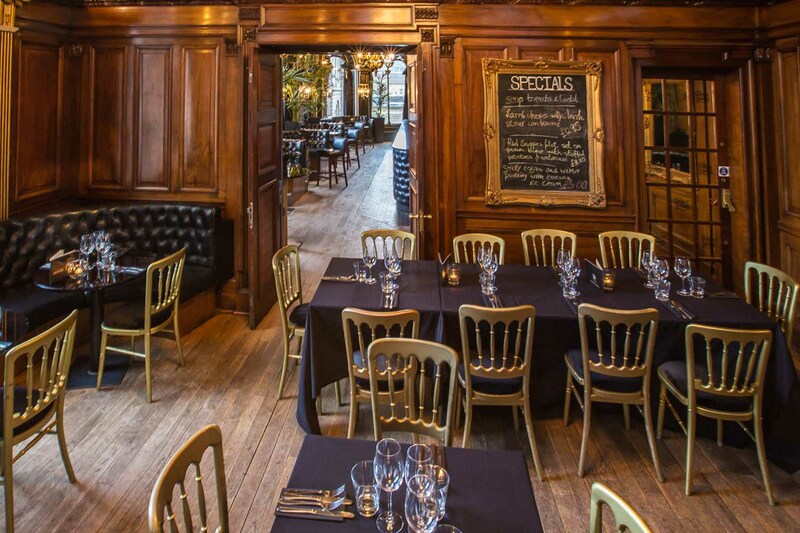 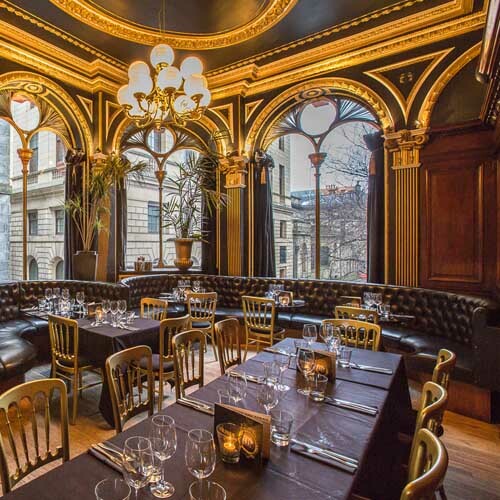 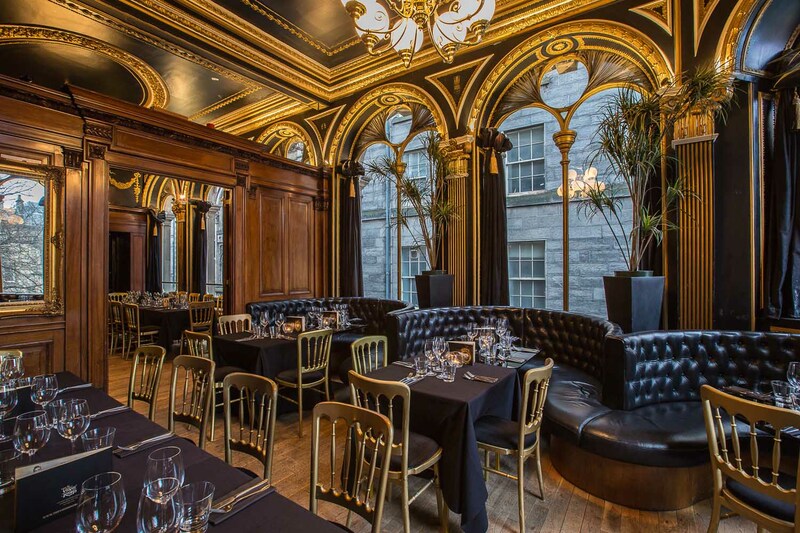 It seats a maximum of 34 covers and can be booked for private events and meetings. 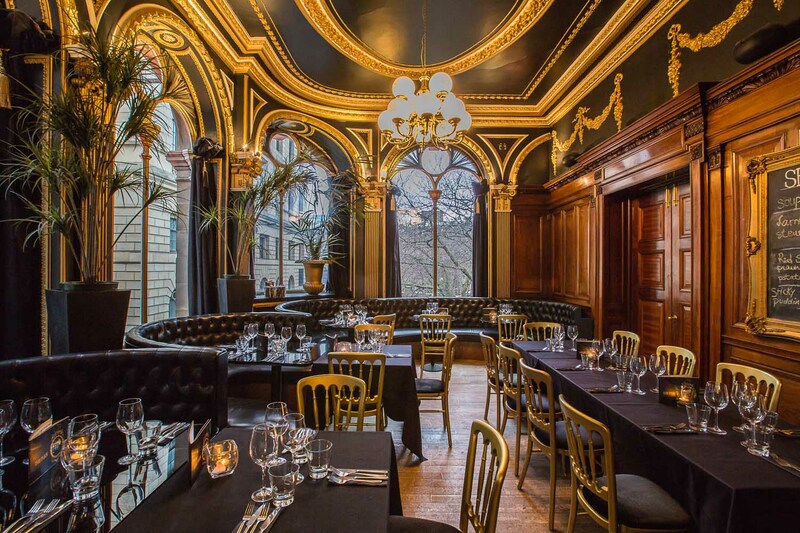 This corner room features ornate ceilings, large arched windows, wooden panelling and a combination of booth and non-fixed tables.